So this weekend I ran my first race since the Half in Disney, and it was my birthday, and I got Bon Jovi tickets, and yesterday (Monday) was National Napping Day (which I celebrated in style). What more could you ask for in a weekend? At my age not much, it was a full and fun weekend! The race was on Saturday morning, a local 5K, and the first in a 3-race series that takes place over the next month. A 10K on the 23rd and then a 10-mile on April 6th will complete the series. There is a local Half two weeks after that, I am still thinking about that one, not sure I am quite ready for another Half yet. I really did enjoy the 5K; it was a fast and flat route which made it an amazing way to start a great weekend. I will definitely not be giving up this running thing any time soon. My daughter, who runs with me, had a great idea; she wanted to scrapbook all of our bibs, a way to save them and something fun to do. So after the race we cleaned up and went to the craft store. My other daughter decided she wanted to crochet again, they did a lot of crocheting with their Grandmother when they were little and thought it would be fun to start again. We were already going to the craft store, so why not? At the store we picked up cute scrapbooks, scrapbook paper, stickers, glue, etc. Then it was time to go get the crocheting stuff. I should state that I know nothing about crocheting and the most creative thing I have done in a decade is buy a cute sparkle skirt and put it together with a t-shirt to make a costume for the Princess race. 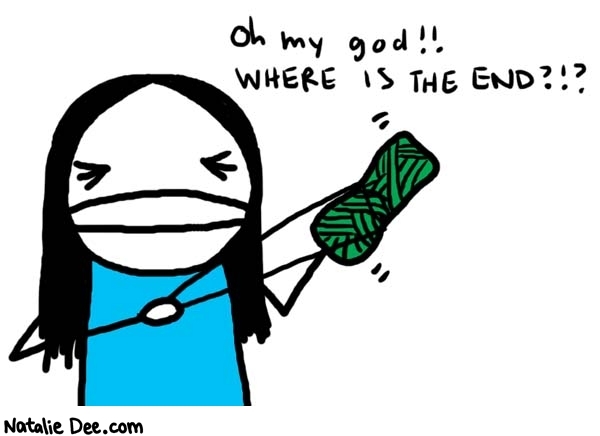 That being said, there was a woman in the “Crocheting Department” more than willing to help. She showed us which needles to buy and suggested some yarn. Total, less than $10, for that price I can try anything…or so I thought. We came home from the store feeling all crafty and stuff, decided that the scrapbooking would be easier so we would save that for a Friday night dinner and wine evening and dove right into the crocheting. 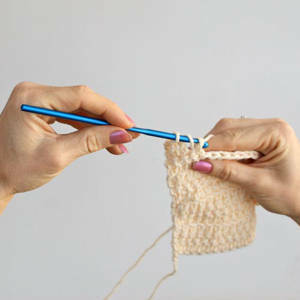 We Googled You Tube videos to see how to start the yarn and the first stitches. Let’s jump right to the end of this fiasco; the middle part of the story is painful. By the end, my daughter, the one with the idea in the first place was cursing, I gave up, and my other daughter made a blanket while we were trying to figure out the slip knot (Not really but she definitely got it). So this Friday will be a crocheting 101 tutorial taught by my daughter, wine, and scrapbooking. Thankfully I have a long run planned for Saturday; it will give me a chance to relax. Well, I will not run for tattoos, I have a horrific fear of needles; just listening to my daughter get this tattoo gave me chills. Completing this half marathon is a big deal for me, my daughter, and many women I have met along the way; I think we all want to reward ourselves in some way. For my daughter her reward was this tattoo. It is really cute and I gave serious consideration to getting one of my own, but chickened out because of above mentioned fear. I did buy myself a nice purse though; I think it is as cute as her tattoo. I am really excited about my upcoming races. I signed up for a race series that starts this Saturday with a 5K, then in two weeks a 10K, and then finally April 6th a 10-miler. Should challenge me and will also be great training for a half I have planned for June. Also in June; the anniversary of my very first 5k. Last June I ran my very first 5k race for a local charity, my time for that run was 43:43, I am looking forward to see how much I improve my time one year later. 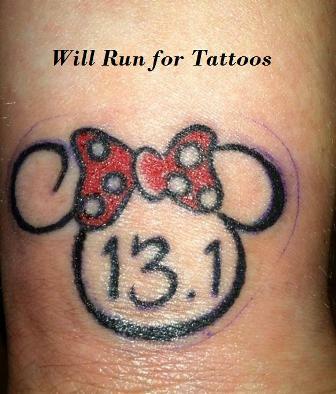 For me it will be the most important race of this year, maybe THAT will warrant a tattoo…probably not. Someone asked me the other day, “Why do you run?”. I run because I can, really that is why I do it. A year ago I could not, now I can so I want to keep doing it. Lots of people inspire me and lots of things give me reason to run, but the short answer is truly, because I can. And a nice new purse does not hurt :). Today I did my five-mile run/walk on the river; I did five miles and it took about 70 minutes, about a 14:00 minute mile, considering the air quality was awful and humidity had to be 186% I was happy with it. Me: Exiting room hanging and shaking my head. *As of this afternoon I own a new belt, slim with a small pouch. I had my daughter with me for the first time and that was exciting and motivational! She has agreed to run the Princess Half with me so we are going to start training together. 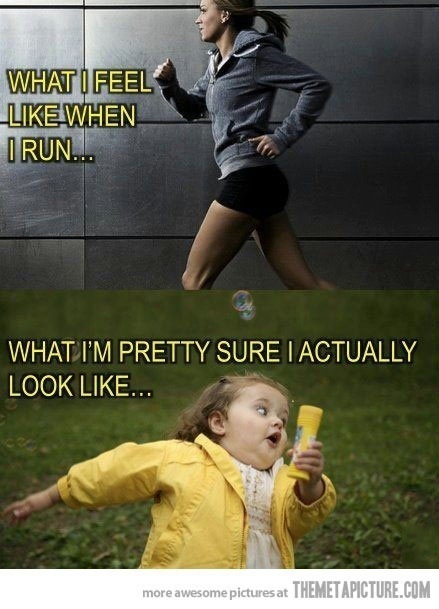 Oh, a brief side note, I do not look anything like the woman running in the photo, but I love the saying, to see what I look like running see my post from August 21st :). In my last post I gave a lot of information about where I am in my running and how far I have come and how my training is progressing. Today I want to talk about how awesome I feel about what I am doing! When I started working at getting healthy I took on a personal trainer for about four weeks, the thing I dreaded most was ANY cardio. Give me some weights I am fine, abs go for it, stretching yes! But get on the treadmill, the bike, the elliptical?? Ugh! In May I signed up to do a charity walk with my daughter on June 2nd. I thought it was a 5K; turns out it was one mile but I walked 5K because I could. While doing light training in May to walk this 5K I realized how much I was enjoying myself, feeling motivated by this goal I set for myself; and by the end of the 5K walk that day, I was hooked! I immediately found a 5K in our city for the end of June and started training to do it as a run/walk. Got that one under my belt and here I am training for my 3rd timed 5K in September, a 10K in October and a Half in February 2013. How did I get here!? It just seems so crazy! On Thursday at the gym I had the treadmill up to 6-miles-per hour at one point and kept that pace for a bit, in May if someone would have told me I would do that I would not have believed them. Today at the river I realized I had run my first .75 straight, all running, no walking! Heck if someone would have told me that two weeks ago I would not have believed it. I could give you another dozen or so of these revelations, but I am sure you get the point. 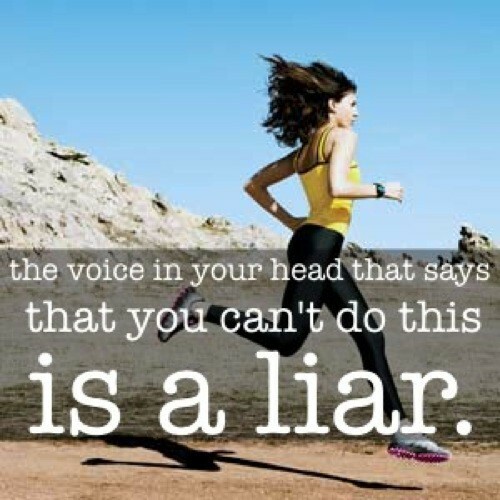 Any time the voice in your head says that you cannot do something, call it out as a liar, you got this, no reason to doubt it! So this week my runs will consist of more short runs to gain speed and longer runs (adding a mile to get to six next Saturday) to gain stamina, by the time my Half gets here I will be running the whole thing, with one pit stop to take a picture with Sleeping Beauty in Magic Kingdom. Couple of other things. I purchased a Nike+ GPS watch today, so far I loved setting it up and I am taking out on my run tomorrow, I cannot wait! Also, I broke up with my scale I feel amazing and I am doing good things for my body with activity and food, I will NOT let the scale talk to the liar in my head. Music and humor, I am not sure I would survive getting fit without these two things. Music feeds my energy and humor, well hell I do not think I could do anything without a little humor. Picture this..I am running, doing what used to be my morning routine which was a brisk walk or run in the neighborhood carrying 1-2 pound hand weights. One morning during this refreshing run I was moving along nicely when a small bug flew in my eye. When a bug flies into or near your eye what is your reaction? That is right you swat at it, but usually when you swat you are not carrying hand weights like I was that fine spring morning. The bug flew at me I swatted and had a shiner for a week. This incident happened about 15 years ago and yet it still acts as a funny story and a stark reminder that I am sure my resemblance to the bottom picture above is far more likely than the top one :). I do not care though I have to be able to laugh at myself and all of the lighter things in life. No matter how I look when I run as long as I am doing it and working towards my goals that is all that matters. After more than a decade away from keeping fit it feels amazing to be moving again. Five more days until my next 5K and I am so excited! If you stay with me, in a week or two I will share the roller blade incident; a little more harrowing than the bug but nonetheless pretty funny.